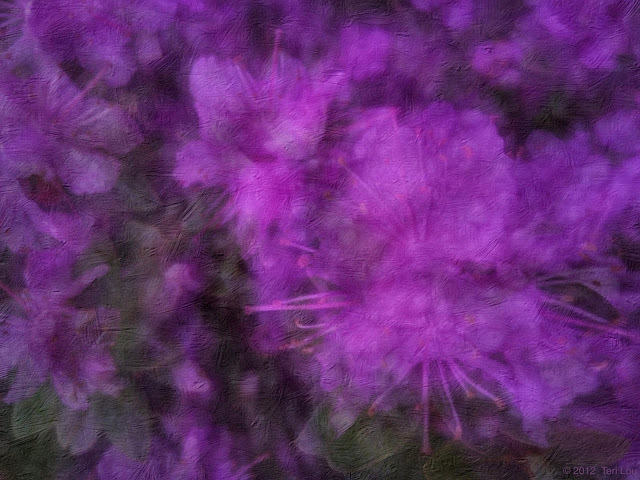 During the Meetup in Bellevue yesterday I was using the Slow Shutter Camera to capture this beautiful Azalea bush. I blended a Pro Camera version with the slow shutter to bring in some details. Then I processed it with Artista Oil. Finalized with Blending options and Snapseed.